German theatre renegades Schaubühne Berlin are returning to Sydney with an Australian exclusive staging of Beware of Pity (Ungeduld des Herzens). 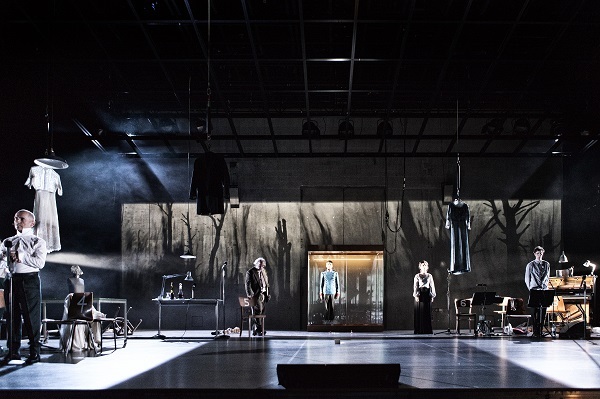 It’s an adaptation of Austrian Stefan Zweig’s 1939 novel of emotional claustrophobia and guilt, back-dropped by an empire falling into disintegration, and the company’s first-ever co-production with Simon McBurney of London’s Complicité. Here are some conversation starters about one of Europe’s most esteemed troupes, to sprinkle in while you’re having a pre-show tipple and waiting for the house lights to darken. They’re one of the world’s most prolific and globetrotting theatre companies. Founded in 1962, with theatre giant Thomas Ostermeier as artistic director since 1999, Schaubühne Berlin premieres at least 10 productions per season at their German home-base, alongside over 100 performances abroad each year. Having staged works at the famed Salzburg Festival, Territorija Festival and Festival Internacional de Buenos Aires, they’ve also taken up residencies everywhere from New York to Paris, São Paulo to London, and Tel Aviv to Barcelona. Their core vision focuses on interpretations of classic works, with Bertolt Brecht’s The Good Person of Szechwan, Ödön von Horváth’s Italian Night and Albert Camus’ The Stranger all featuring in their current program. In September this year they were initially censored, and ultimately banned, from performing their production of Henrik Ibsen’s An Enemy of the People in China. Ibsen’s text, which deals with the manipulation of truth for public consumption, sees a lone scientist in a Kafkaesque struggle of morality against the government, as he learns the waters of the town’s famed spa and financial lifeblood are toxic. However, it’s Ostermeier’s interpretation of the famous town-meeting scene – where the actors open up the floor to the audience to air their grievances of their own administration – which struck a nerve on opening night in Beijing. ...which is a real loss for Chinese theatre lovers. 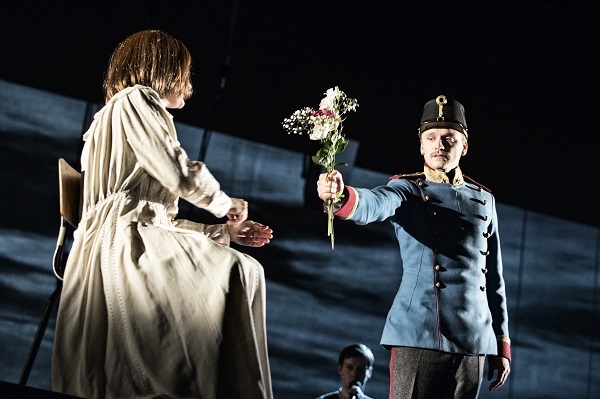 A staple in Schaubühne’s worldwide touring repertoire, An Enemy of the People is one of the boldest and most inspired adaptations of Ibsen’s work – one that’s been met with universal acclaim since its debut in Avignon in 2012. Having since criss-crossed the globe – and visited Australia in 2012 as part of Melbourne Festival – Enemy is a perfect showcase of just why the group has become a worldwide phenomenon. Much like their radical and contemporary reinventions of Hedda Gabler (Melbourne Festival, 2011) and Hamlet (Sydney Festival, 2010), Schaubühne don’t so much rip apart the rule-books of classic texts as they do burn them and scatter their ashes at the Barbican. Their raging and revolutionary works, which are delivered with English surtitles, are only further galvanised by their masterful Teutonic delivery. Watch a trailer for An Enemy of the People below. China aside, they’re no strangers to political controversy. In 2017 the company chose to pull its production of Richard III from an international theatre festival in Istanbul, in reaction to "the arrests of many journalists, scientists and human rights activists," and the strained relationship between Berlin and Ankara. The Schaubühne believed they couldn’t guarantee the safety of their cast and crew, and thus abandoned their tour at short notice…much to the chagrin of Istanbul officials – the production had been sold out for many weeks in advance. 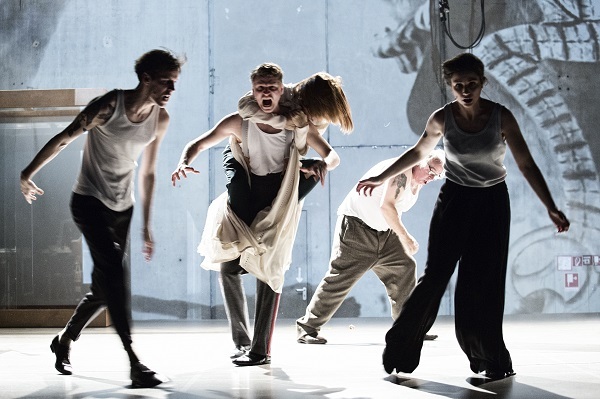 While it was first premiered in 2015, director Simon McBurney (The Encounter, Sydney Festival 2017) believes Schaubühne Berlin’s Beware of Pity has become “chillingly resonant” in the Trump era. Zweig’s original text focuses on Europe in the 1930s, where he lived as a refugee. Speaking to The Guardian last year, McBurney explained that his adaptation, exploring imminent chaos and societal combustion, has grown eerily prescient. Tyson Wray is a writer and editor who specialises in the arts. He has been published by The Age, Herald Sun, Time Out, Vice, triple j, and regrettably, Cleo.